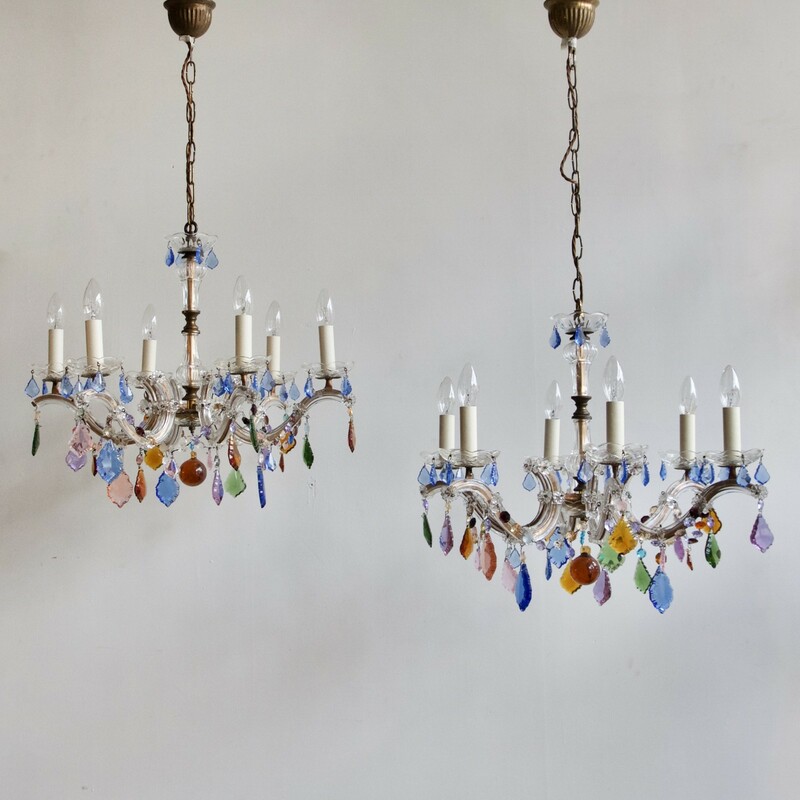 Pair of French 1930s Marie Thérèse Chandeliers with a mix of contemporary and vintage coloured glass drops. Chandeliers use six SES lamps each. Supplied with chain and ceiling rose.